Get your home ready for spring with these top tips. Tackle one space at a time so you don’t get overwhelmed. Declutter your kitchen drawers and cabinets. Give away or donate any unneeded items that are in good condition. Check the pantry and discard expired items and stale spices. Clean the shelves and install fresh shelf liner. Vacuum nooks & crannies in upholstered furniture. Air out throw pillows outside, weather permitting. Dust or vacuum window blinds. Have drapes cleaned per the instructions. Check outside your home for damaged or missing caulk around windows and doors and repair any problem areas. Have the fireplace and chimney cleaned and inspected by a professional. Clean the windows inside and out for sparkle and shine. Place a pot of bright spring flowers by the door to greet your guests and brighten the neighborhood. Last but not least, pat yourself on the back for a job well done! Need to create some space in your life for yourself? Check out some of our favorite tips for sneaking in some peace. Try getting up earlier than the rest of your family and use the quiet time for yourself, especially on the weekends. If possible, designate another family member to prepare dinner at least once a week. They’ll learn a lot – and you’ll enjoy the results. Drive a different route home from work or errands. You’re bound to notice something interesting along the way. Shut down your devices way before bedtime and avoid social media all night. You won’t miss a thing. Improve your home’s air quality by limiting pollutants, allergens, and other irritants that can harm your family’s health. High humidity promotes mold and dust mite growth. Keeping indoor humidity below 50% will help prevent further infestation. To reduce humidity, use ventilation fans in kitchens and bathrooms, make sure the dryer is properly vented to the outdoors and address any water leaks or condensation issues. Use a dehumidifier in any especially humid locations such as the basement. Reducing dust can also improve air quality. Dust can be composed of pollen, mold spores, lint, animal dander and even bacteria. It’s impossible to completely rid a home of dust, there are ways to control it. Regular use of a HEPA filter vacuum should help. Change or clean the furnace filter regularly. High-quality furnace filters are more expensive than ordinary types, but are more effective at filtering dust, pet hair, and other particles. Opening doors and windows whenever possible can also help with indoor air quality. Your home will have better air circulation and “breathe” more easily, and you’ll get to enjoy the fresh air on a nice day. Use less-toxic and environmentally friendly cleaning products. Dispose of old paint, garden chemicals and other products that could leak fumes. Check with your trash collection provider on how to properly dispose of such items. Test Your Know-how: Take Our Quiz! 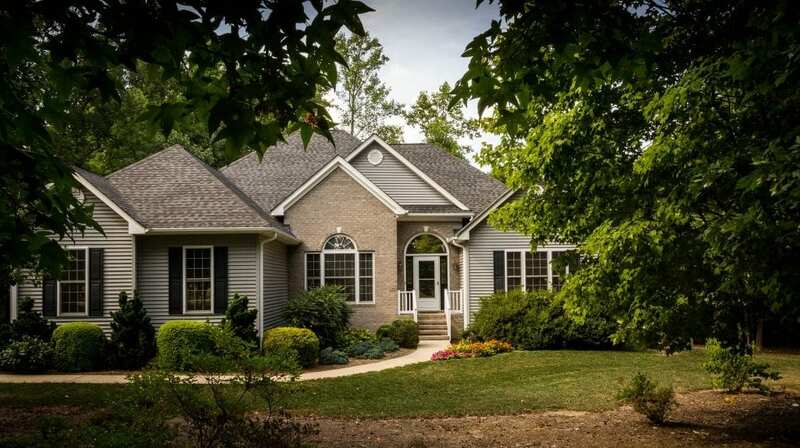 True or False: It’s a good idea for home buyers to attend the home inspection. Which statement is correct about radon? Radon seeps into homes from underground. It’s the second leading cause of lung cancer after smoking. Radon is colorless and odorless. True or False: GFCI and AFCI receptacles are different names for the same thing. True or False: Foundation cracks can only mean bad news. Which of these is NOT recommended for a home to be inspection ready? Putting fresh batteries in smoke detectors. Having the furnace and air conditioning serviced. Making sure there’s clear access to the water heater, electrical panel and main water shutoff. True! Attending the inspection is a great way to learn about the home and offers the opportunity to ask questions along the way. D. Request radon monitoring to determine if your home has an elevated level of radon. False. In short, GFCIs help prevent electrical shock. AFCIs help prevent electrical fires. False. Some types of cracks are common and aren’t always structurally significant. A professional evaluation can determine if cracking is a problem. A. For inspection purposes, outdated faucets and/or fixtures don’t matter as long as they work properly. Maybe you’ve been told your home has asbestos. Do you need to worry? We’re here to educate and inform! For years, asbestos was widely used in wall and ceiling insulation, vinyl flooring, insulation for heating ducts, pipe wrap for water heating systems, roof tiles, acoustic ceiling tiles and much more. Many of these materials are still present in thousands of homes. Breathing asbestos fibers over a long period of time can lead to asbestosis, lung cancer and mesothelioma. Is it always a problem? Asbestos poses a health risk when the fibers become airborne, which can happen if materials are crumbling or damaged. If there is minor localized damage, it can be professionally repaired by encapsulating the asbestos fibers with a specialized sealant. If the asbestos-containing material is in good condition, the best course of action may be to simply leave it alone. The biggest risk is when homeowners and other non-professionals attempt asbestos removal themselves. Disturbing asbestos usually makes it dangerous. If it must be removed, it’s a job for an expert who will also properly dispose of it. In some cases, such as a home renovation, asbestos removal is the only option. As soon as weather allows, rake up winter debris and old mulch from planting areas. Remove any plants that have died over the winter. But first make sure they aren’t just dormant! Have pruners, loppers, hoes and other cutting tools sharpened. Pulling weeds when they’re still small makes the job much easier. Add compost to planting beds for better soil and healthy plants. Check the irrigation system for leaks and broken sprinkler heads and emitters. Sketch out your planting plan for summer crops and blooming plants. Now you’ll be ready to plant, grow and enjoy the beauty and bounty of your garden! Don’t feel like you have to say “yes” to every invitation, menu demand or gift request. Ask others to pitch in on tasks such as shopping, baking and wrapping. And if someone offers help, accept it! Set a budget for gift purchases and stick to it. A mountain of new debt is no way to start the new year. If you’re hosting a meal, ask guests to bring side dishes or desserts. If they ask to do dishes, hand them a sponge! A 15 minute walk each day will leave you refreshed and help clear your head. The shorter days will still be here for months to come, and spring can seem a long way away. But winter doesn’t mean your home needs to feel drab for months on end. Here are some easy ways to bring some springtime into your home and life right now. Choose a bouquet of colorful fresh flowers or a flowering plant to display in the kitchen, family room, or wherever you spend a lot of time. Or divide a large bunch of blooms into several smaller vases that you can place in a bathroom, by the kitchen sink, and on your nightstand. If you live in a mild climate, a pot or two of bright flowering plants outside your front door provides instant cheer. Your neighbors (and the mail carrier) will appreciate it, too! Give your powder room or laundry area a lift with a fresh coat of paint in a fun new color, or create a bigger impact with an accent wall in any room. Whirl chunks of pineapple, mango, and banana with plain yogurt in the blender to bring a taste of the tropics to a dark morning. This healthy treat will give your day a delicious jump start and bring a smile to your face. Try new throw pillows or pillow covers in bright, fun fabrics to liven up your sofa and chairs. There are so are many great-looking, inexpensive options available you won’t have to splurge to give your room a fresh look. No matter where you live, winter storms can wreak havoc on property. Preventive steps can reduce the chance of serious damage to homes and lives. Outdoor furniture, grills, toys, birdbaths and the like should be stored away. Secure and anchor large objects such as prefab sheds and play structures to prevent them from falling or blowing over. 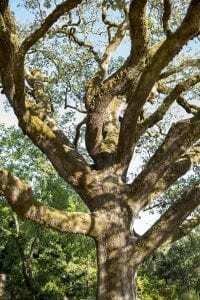 Trees can look like they’re in good shape but may be diseased or have other problems that can cause them to fail unexpectedly. Trees stressed by drought or that are rooted in saturated soil can be more susceptible to problems when storms hit. Local ordinances may require that trees be trimmed a minimum distance from driveways, structures and power lines. For safety’s sake, a qualified professional should perform this work. Using binoculars, check your roof for missing or damaged shingles. Flying shingles can damage structures, while missing shingles can allow water to leak into the home. Any roofing repairs should be done professionally to ensure the work is done safely and correctly. Look for downed or sagging power lines and report them immediately to your utility company. Always assume a downed power line is live, and never approach or touch it. Check around for fallen branches or other damage to trees and structures. This is also a good time to reinspect the roof for storm damage; any repairs should be made as soon as possible to prevent further problems and leaks. Note any areas where water may have infiltrated siding, the foundation, or windows and have repairs done before the next storm hits. Why get a pre-listing home inspection? A pre-listing inspection can uncover previously unknown problems – major and minor – allowing the opportunity to make repairs, updates, or replacements as needed or as the seller wishes. Addressing these issues before the home goes on the market can result in cleaner offers and a smoother transaction for both parties. Having well-informed sellers and buyers will work to everyone’s advantage. Be sure that the home inspection is comprehensive and that you’ll get the report immediately upon completion of the inspection. This will allow sellers to get the information they need right away, so they can decide on their next steps prior to listing. Photos should also always be part of a professional report so that the full documentation of conditions is available to both the sellers and potential buyers. This is especially important when it comes to issues that might not be addressed or repaired prior to sale. Having a pre-listing inspection in hand is a great way to inform potential buyers and give them peace of mind once the home hits the market, leading to a faster sale! We all love coming home at the end of the day to a place we feel safe. Here are some tips for keeping your home and valuables secure. Secure Entrances – Thoroughly evaluate all entry points to your home. Make sure all doors have a secure lock and reinforce the door frames. Windows should be closed and locked at all times when you are away. Secure Lighting – Lighting is a basic but important burglar deterrent. Indoor and outdoor lights can thwart intruders by making it look like the house is occupied when you are not home, and minimize the places burglars can hide at night. Secure Garage – Garages are a favorite target for thieves because they contain easy to sell valuables like bicycles, tools and sports equipment. Garages can also provide easy access into the home. Keep all garage windows and access doors securely locked. Look into installing tempered glass in windows, or cover the inside of the windows with a sheet of durable Plexiglas. Security System – There are lots of options available for homeowners who want to take this extra precaution. The latest systems can be operated using a mobile device or speaker-based “assistant,” allowing you to arm the system and remotely monitor indoor and outdoor security cameras. More conventional alarm systems include third-party monitoring, and unmonitored alarms that simply make a loud noise when triggered. One of the most common problems with home gardens is plants, particularly trees, that grow too large for their location. Research how tall and wide a particular kind of plant or tree will be at maturity. That cute sapling at the nursery could grow up to be a giant you don’t have space for. 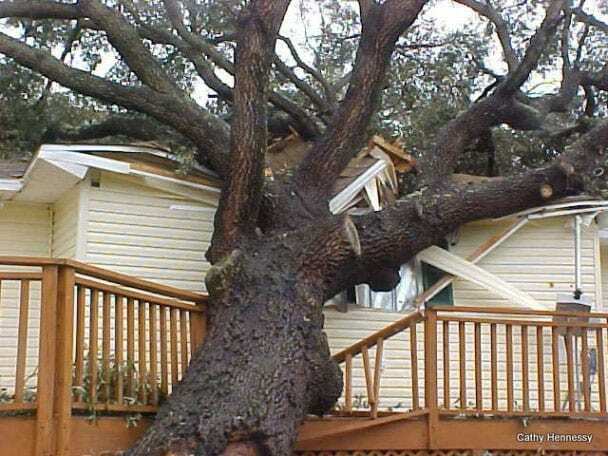 Avoid planting a tree too close to the house. At full size it may damage the roof and gutters and need to be cut back. If the tree is deciduous (loses its leaves each fall), will the winter sun cause the rooms nearby to be too bright? Trees with aggressive and/or shallow root systems shouldn’t be planted near the house, pavement or other surfaces as they can potentially cause serious damage to the foundation. 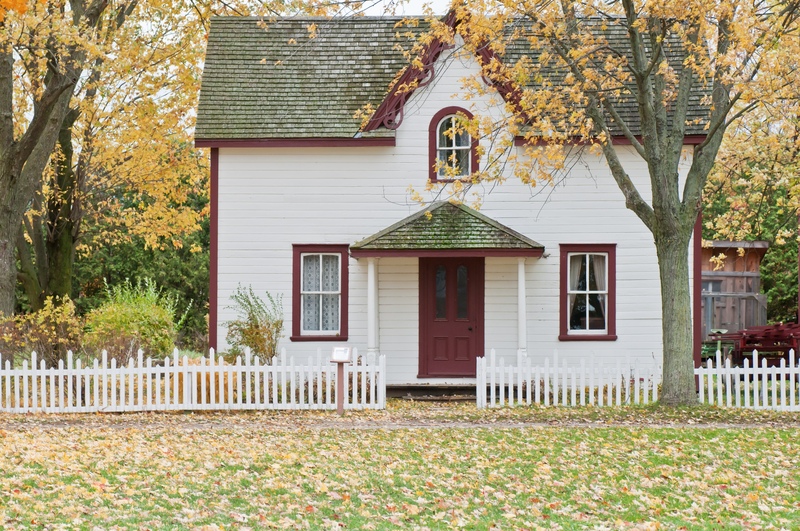 Get your home ready for fall! The days are getting noticeably shorter, and maybe there’s a nip in the air – sure signs that fall is on its way. Now is the perfect time to put these ideas on your to-do list and get your home in shape before winter rolls in. Seal it up: Caulk and seal around exterior door and window frames. Look for gaps where pipes or wiring enter the home and caulk those as well. Look up: Check the roof for missing or damaged shingles. Although you should always have a qualified professional inspect and repair the roof, you can do a preliminary survey safely from the ground using binoculars. Clear it out: Clear gutters and eaves troughs of leaves, sticks, and other debris. Consider installing leaf guards if your gutters can accommodate them – they are real time savers and can prevent damage from clogged gutters. Check the seams between sections of gutter, as well as between the gutter and downspouts, and make any necessary adjustments or repairs. No hose: In climates with freezing weather, shut off outdoor faucets and make sure exterior pipes are drained of water. Faucets and pipes can freeze and burst, causing leaks and potentially serious water damage. Warm up time: Have the furnace inspected to ensure it’s safe and in good working order. Most utility companies will provide basic inspections at no charge, but there can often be a long waiting list come fall and winter. Using a clean filter will help the furnace run more efficiently, saving you money and energy. Light that fire: If you enjoy the crackle of a wood-burning fireplace on a chilly fall evening, have the firebox and chimney professionally cleaned before lighting a fire this season. Creosote, a byproduct of wood burning, can build up to dangerous levels and cause a serious chimney fire if not removed. Stressed out? 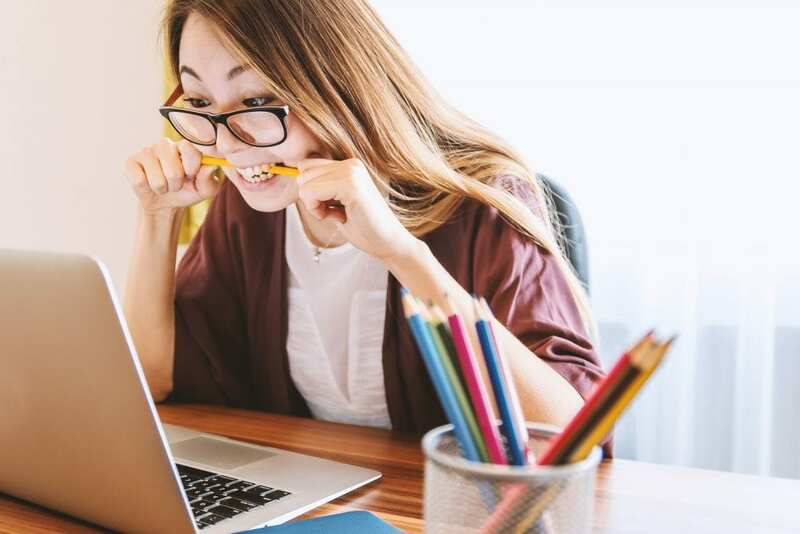 Learning how to manage work stress can help restore calm, productivity and job satisfaction. Recognize what’s causing your stress. Deadlines? Conflict? Work/life balance out of whack? Then work on tackling the issue(s) productively. Try to understand your specific reactions to those stress triggers. How can you better control your response? It’s not always easy to do this but it can be very effective. If you work at a desk, take short breaks to stretch and breathe. If you’re on your feet all day, find a comfortable spot out of the way to sit for a bit and relax. Have too much on your plate? Don’t agree to unrealistic deadlines if at all possible. If this happens regularly, you should consider your commitments more carefully in the future. If possible, take a short walk outside to stretch your legs and remind yourself that work isn’t all there is! Certain projects require specific skills that all handymen may not have. Professional licenses may be required to perform certain work. Electrical and plumbing often fall into this category. Online referral sites can give you a good indication of overall customer satisfaction. You can also ask the handyman for references from previous customers. Ask about the quality of the work, timeliness, professionalism, and how satisfied they were with their project. Ask for evidence of liability insurance coverage before agreeing to any work. 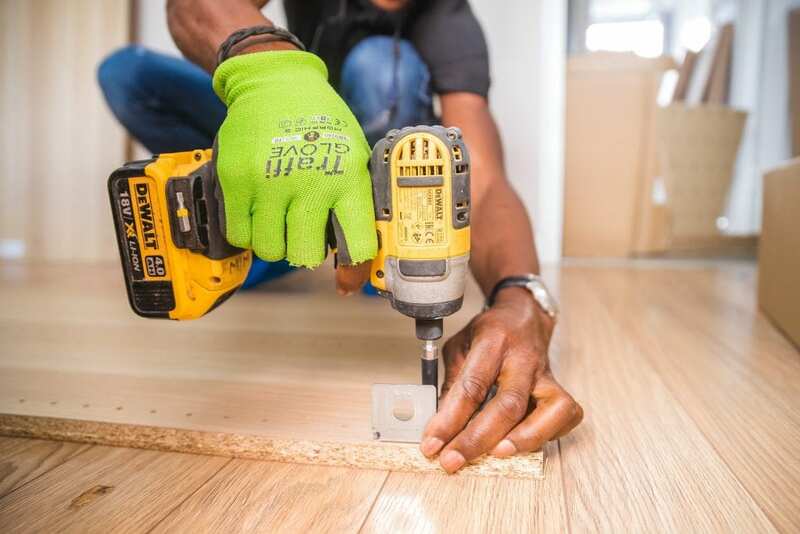 If the handyman or another worker is injured while working on your property, you may be held liable for medical costs. Ideally, ask three handymen for written estimates for the work you have in mind. Be sure that each estimate contains enough detail so that you can make an accurate comparison. Read all contracts carefully and be sure to ask about anything that you are unsure of. 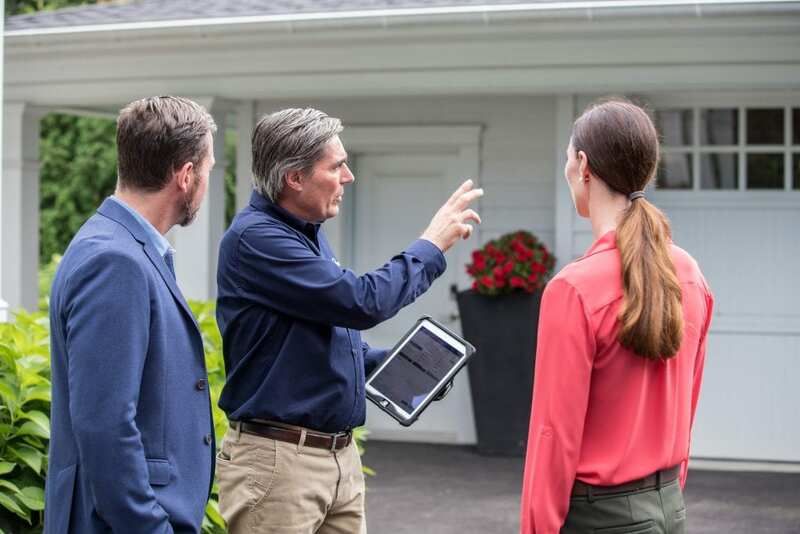 A home inspection is the perfect opportunity to really get to know the property you’re considering – an unbiased evaluation that can prove extremely useful and help you avoid unpleasant surprises. A professional home inspection includes a visual assessment of the home’s systems and structural components, including heating/cooling, plumbing, electrical, roof, foundation, walls, chimneys, doors, and windows. In addition to undergoing visual inspection, appliance systems, heating/cooling and plumbing are tested to ensure proper operation. The report will include detailed findings and indicate any recommended repairs based on the inspection results. At that time, your agent may recommend that the seller complete needed repairs, or if not, that the cost of doing the repairs be reflected in the selling price. However, in many of today’s overheated real estate markets the home inspection contingency is often waived in order for an offer to be considered at all. In these cases, a home inspection is still extremely important because it allows you to learn about the home and gives you a comprehensive picture of the home’s condition. This is invaluable in planning for future repairs, upgrades, or addressing other issues. 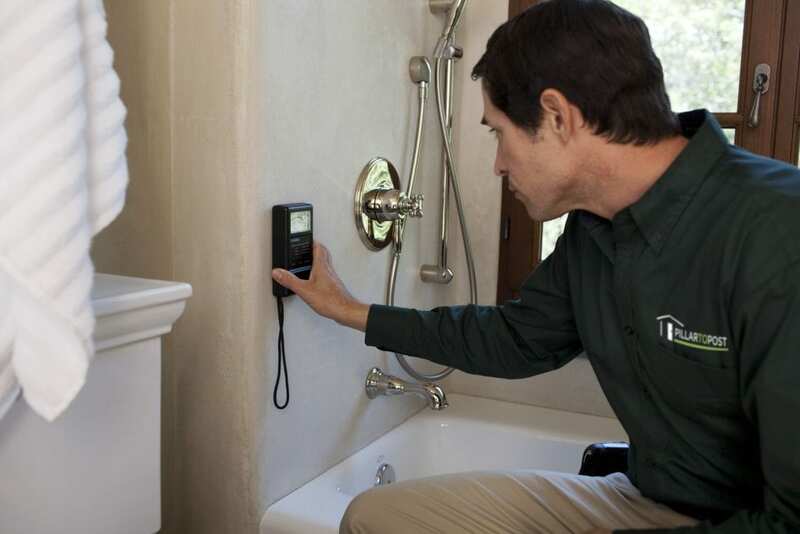 To get the most out of the home inspection, accompany the home inspector during the process. This allows you to ask questions on site and get any needed clarification about potential issues that come up along the way. It’s a great way to get to know the property and locate key items such as key shutoff valves, the breaker panel and more. Attending the inspection will also give you a better understanding of any repair recommendations. From food and clothing to their bedroom decor, children’s likes and dislikes are ever changing. Here are some ideas on how to pull off a stylish bedroom re-do using some imagination and not a lot of money. Paint is your friend! Nothing transforms a room like a new coat of paint, especially if you go with a bright or trendy color selected by your child. If she is old enough, get her involved in painting the walls or trim. Be sure to keep some extra paint for those sure-to-be-needed touchups. 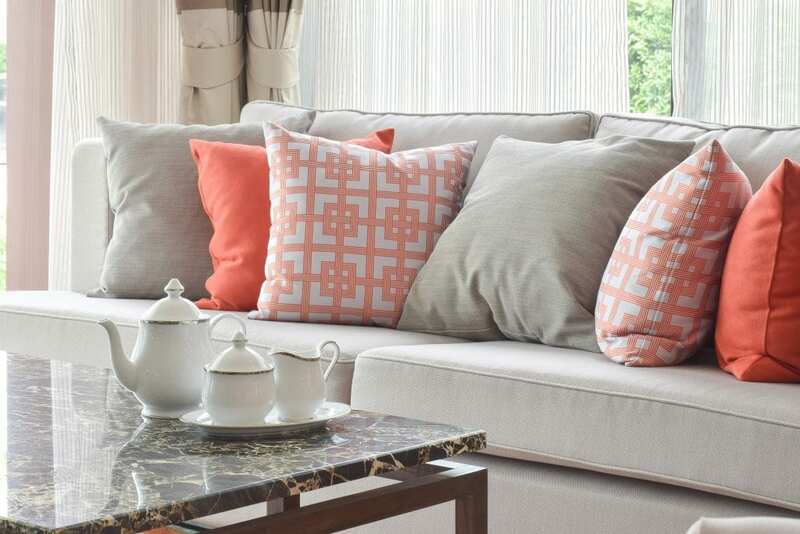 Complement the color scheme with inexpensive throw pillows or pillow covers. Instead of investing in lots of themed décor, consider using just a few relatively inexpensive elements to recognize your kids’ interests. Posters and collages are just a couple of ways to include a theme without going overboard. Garage sales can also be a good source of well-priced themed items. For dressers, bed frames and other furniture, see if your community has a website that lists items for sale or trade. A quick coat of paint and minor repairs may be all that’s needed to transform an inexpensive (or free) piece into a real find. Shelves and bookcases make great places for children of any age to create ever-changing displays that reflect their interests. The flexibility of these spaces will be appreciated by small children to teenagers for years to come. Curb appeal. It’s all about how your home looks to people walking or driving by. If you’re selling, you can boost that first impression by making sure your home looks great before it hits the market. If you’re staying put, making your home more beautiful is never a bad idea! Cleanup and Repair – Clean windows and siding, stow away yard tools and equipment, and clean up dead branches and leaves. Make sure fences, walkways, and the driveway are in good repair, too – a home that looks well taken care of is always more attractive. Landscaping – Trim any overgrown shrubs, remove weeds, and tidy up planting areas. If the season is right, add some colorful flowering plants to brighten up around walkways and at the front entrance. The Entrance – If replacement is cost prohibitive, consider revitalizing a tired, faded door with a fresh coat of paint in a great accent color and swapping out the hardware. Updated house numbers are another impactful but inexpensive addition. Paint It New – Brighten up the exterior with new, neutral paint. If the existing paint is in good shape, have the exterior pressure washed to get rid of dirt and grime. Have the windows washed inside and out to brighten the overall appearance of the home. There’s nothing worse than home “lookers” who drive by – and keep right on going because they’ve already decided a home doesn’t appeal to them based on looks alone. 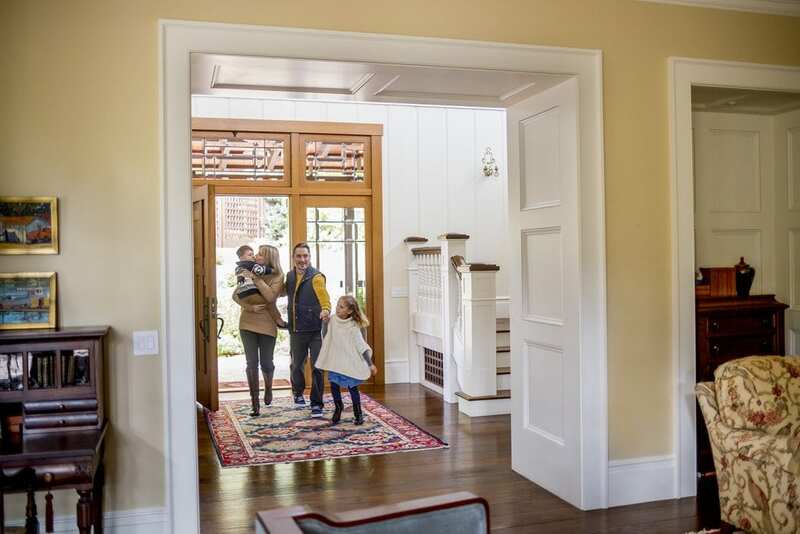 With these tips in mind, chances are your home will catch the eye of more potential buyers. And for those of you not selling, you’ll love your home even more. Lane, Linn and Benton Counties.